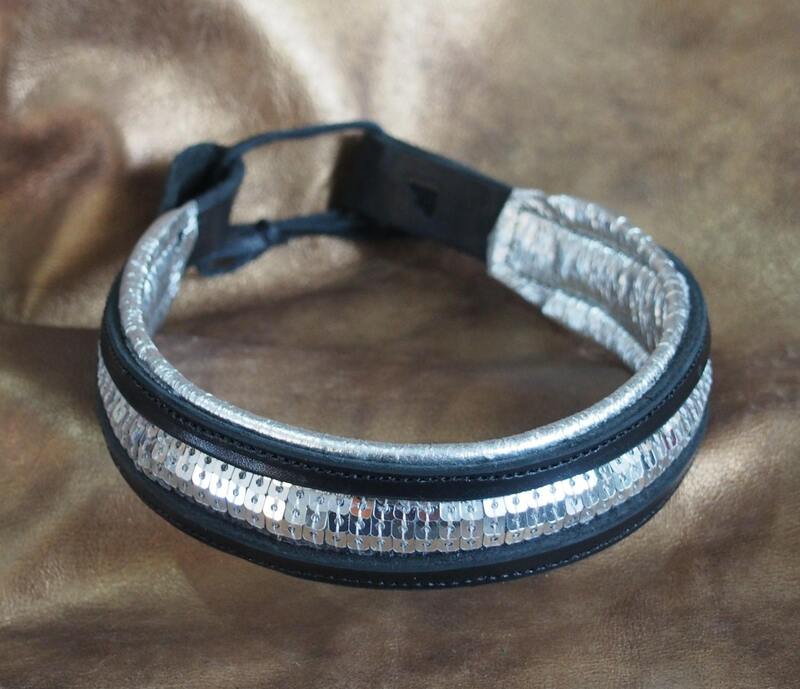 This leather dressage/show brow band is all about SILVER BLING. 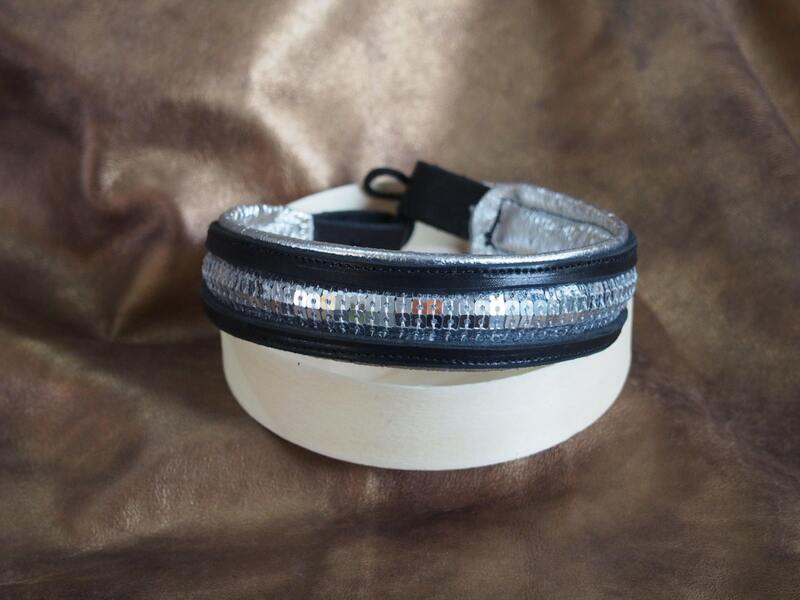 It is made with black cowhide main band framing silver sequins and even more silver shows on the edges of the padded liner. 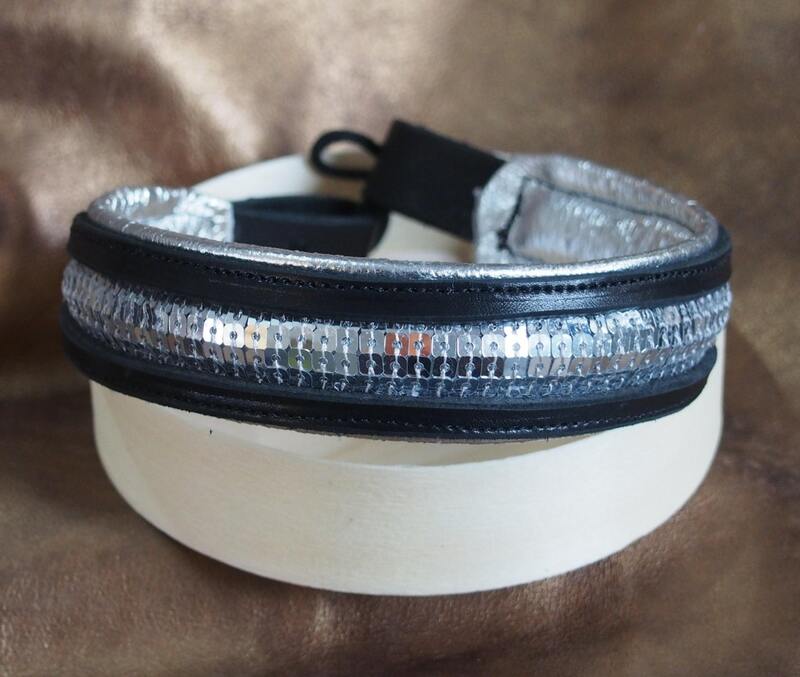 This is more suited to English tack, but can work with western, too--just a matter of color preference! 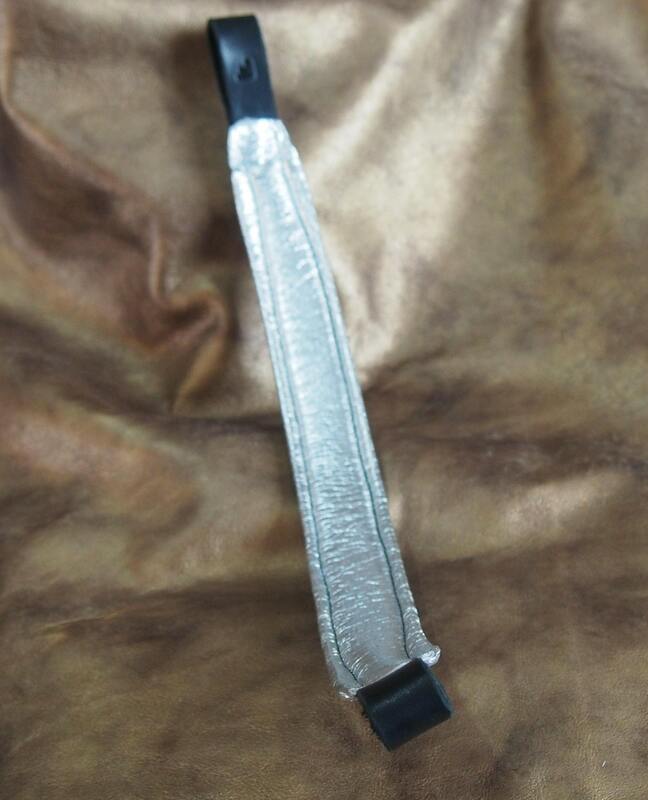 The ribbon is glued to the water resistant Landau padding, which is wrapped with a silver foil finish lambskin, which is about 1 1/4" wide. 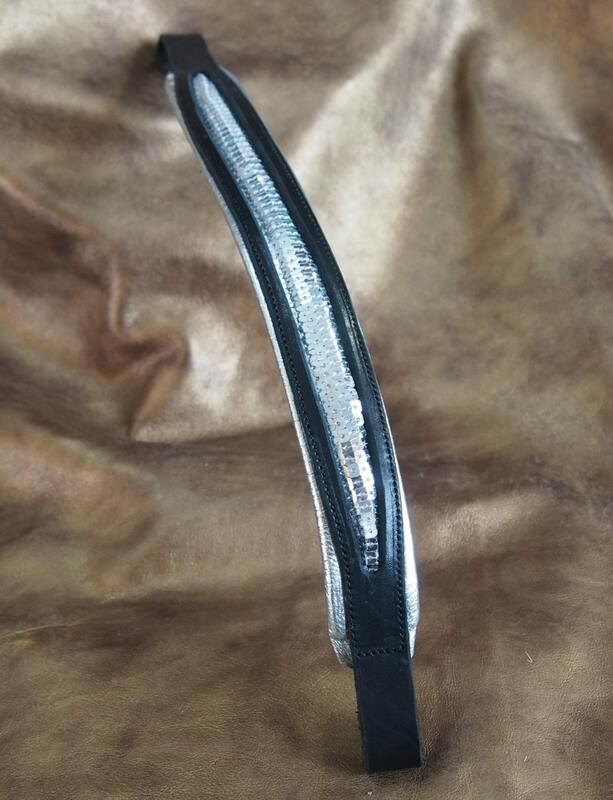 There is an extra narrow strip of padding under the ribbon to give it some dimension within its black leather frame. All layers are then stitched together and create the loops.